Floyd County said “thank you” to retiring girl’s varsity basketball coach Alan Cantrell at the last home game of the season Thursday night. 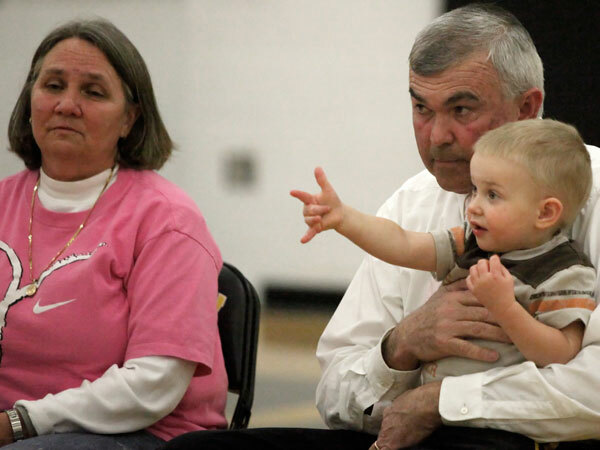 It was a bittersweet moment for the coach with the best record in Virginia high school girls basketball history. He received a standing ovation from the crowd and a chair “that he never used” on the sidelines from FCHS principal Barry Hollandsworth and Athletic Director Clay Moran. Then he got the gift he probably cherished most: His team beat Auburn 54-41 to remain undefeated in Three Rivers District play and a favorite to return to the state playoffs for a fifth straight year. More photos and story in next week’s Floyd Press.